MC Group Hawaii, Inc. has been providing quality, personalized financial guidance to local individuals and businesses since 1983. Our expertise ranges from basic tax preparation and accounting services to more in-depth services such as tax planning, audits and reviews of financial statements, forensic accounting and litigation support. MC Group Hawaii, Inc. is one of the leading firms in and throughout the area. By combining our expertise, experience and the team mentality of our staff, we assure that every client receives the close analysis and attention they deserve. Our dedication to high standards, hiring of seasoned tax professionals, and work ethic is the reason our client base returns year after year. To provide individualized service and utilize our expertise in the areas of accounting, taxation and overall business knowledge to help our clients succeed. We aim to value each client and understand their personal and business financial needs through research and comprehensive analysis to provide high-quality services. He obtained his Bachelor's of Business Administration in 1990 and started his career with Grant Thornton LLP's Honolulu Office, an international accounting and consulting firm. His experience was focused in the audit and attestation areas serving a wide-array of industries including construction, financial institutions, real estate development, manufacturing, not-for-profit and government organizations. In 1999, Mr. Miyashiro became the Vice President and Controller of GE Capital Hawaii, Inc., a subsidiary of General Electric, Inc. specializing in residential and commercial real estate lending as well as commercial equipment leasing. He served a brief term as treasurer and controller of Island Title Corporation, a local escrow and real estate title company, before joining Manoa Consulting Group, LLC in 2002. Mr. Miyashiro has been serving business and individual clients primarily in Hawaii and continues to apply his expertise in accounting, auditing, taxation and business consulting over a multitude of industries and is currently the president of MC Group Hawaii, Inc. 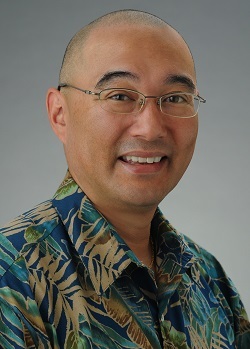 He is currently a member of the American Institute of Certified Public Accountants (AICPA), the Hawaii Society of Certified Public Accountants (HSCPA), the Hawaii Association of Public Accountants (HAPA), and National Society of Accountants (NSA). © 2019 MC Group Hawaii, Inc. All Rights Reserved.